He told a judge he agreed a time and again to cover up Trump's "dirty deeds" out of "blind loyalty." It also came ahead of a Senate vote on the "First Step Act," a criminal justice reform bill with broad bipartisan support. Earlier in the year, Kim Kardashian West not once but twice paid a White House visit on Trump to discuss prison and sentencing reform. Sentencing for drug crimes, treatment for opioid addiction, a loosening of cannabis laws, a Tesla probe, the Mueller investigation into the Trump campaign: Justice will remain top of mind into the new year. Searches for "justice" throughout the year, when compared to 2017, were up 74 percent on the site that has more than 100 million page views a month and nearly half a million entries, Sokolowski said. 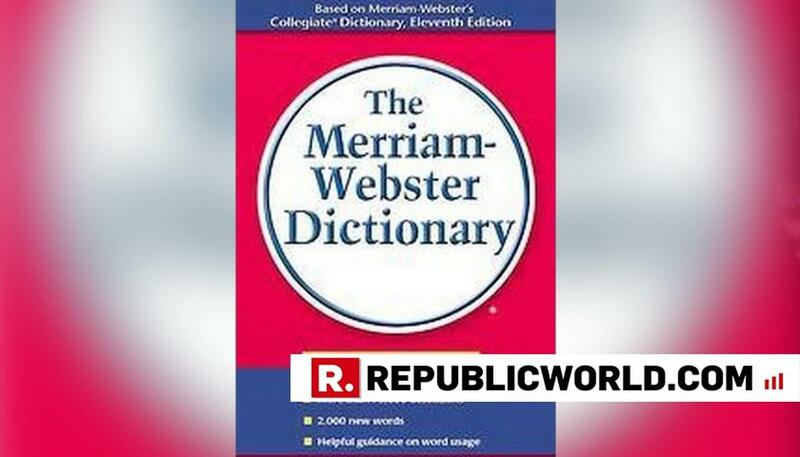 To be the word of the year worthy, an entry has to show both a high volume of traffic and a significant year-over-year increase in lookups as opposed to, say, a word that merely buzzed or felt lofty, he said.